Digital technology use has undeniably become a cornerstone of teaching and learning in the 21st Century, and we are utilising Information and Communication Technology (ICT) more than any preceding generation. An overwhelming amount of research has shown that there are major benefits to students having 1:1 computer access available to them. As our society becomes increasingly reliant on digital technology, it is important that students develop their digital literacy skills both in and out of school. The OHS BYODD initiative promotes engaging and innovative learning opportunities, developing vital 21st Century skills for learning progression. Communication, collaboration, critical thinking and creativity are the main skills students need to develop to prepare them for a changing digital climate, at school and for their future. 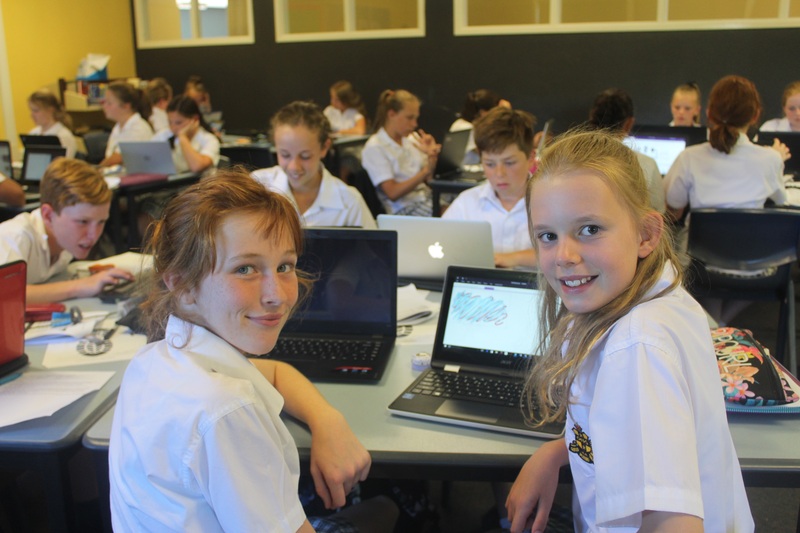 Through technology use in the classroom, our teachers are increasing opportunities for all of our students, providing a high level of individualised, quality education. Increasingly, OHS staff construct lesson activities that rely on the application of school to knowledge and real life situations, and as our world relies increasingly on ICTs, it is imperative that our learning equipment can facilitate this 21st Century teaching and learning. Our data consistently demonstrates that students, teachers and parents have a positive view of BYODD and that they believe the initiative has enhanced the learning experience for students. A significant number of those surveyed believe that they have increased their ICT skill levels through the BYODD initiative, specifically communication, collaboration, critical thinking and creativity. The Australian Institute for Teaching and School Leadership (AITSL) states that the implementation of ICT in the classroom enhances the teaching of education programs, by expanding the curriculum to innovative learning opportunities for students. Clearly, the BYODD initiative allows for successful teaching and learning practices to occur in the contemporary world of schooling. BYOD trials were held in selected classrooms at Orange High School in 2015 in response to the government decision to cease the Digital Education Revolution (DER) in July 2014. These trials indicated that laptops are the most beneficial devices in terms of the broad capabilities they bring to the classroom. OneNote has also been selected as the most efficient program to support enriched classroom learning, organisation and note-taking, as well as various interactive and multimedia activities. Click here to find the 2019 BYODD documents to download. Click here for the complete version of Orange High School's BYODD Policy. For any further Information please contact Helene Hamilton on 6362 3444. OHS brings Astley Cup Home! Year 12 2016 Final Week at OHS!